We restore neglected town centre woodlands that have been hot spots for criminal drug use, flytipping and more. The beneficial green spaces then provide perfect pockets of tranquility for palliative care. 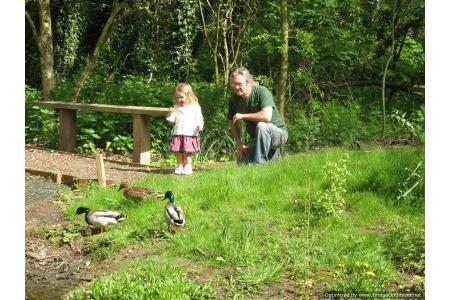 The woodland retreats give cancer patients, their families, volunteers, care givers and nurses an opportunity to escape, reflect and connect with nature in a safe and private tranquil environment.Our charity also focuses on those living with mobility, health and disability problems. 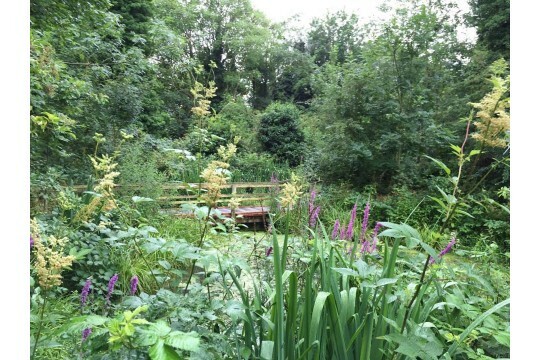 By making safe, replanting, fencing, applying woodland management and promoting voluntary work, we provide a proven and effective restorative specific environment. By encouraging the participation of children with special educational needs and those affected by mental health issues in our woodland development, we not only teach life skills but provide the necessary confidence to gain a valued place in society. Medical evidence states that many of the most effective settings for recovering from illness involve the natural environment. Such restorative environments are in short supply in many urban areas.Our woodlands provide the perfect environment for this.Our supportive programmes help disadvantaged children and adults gain a positive mental attitude with good self-esteem, better self-awareness, self-regulation and intrinsic motivation.Many adults gain employment after years of relying on benefits. Pays for the general upkeep of the woodland for 3 days.